The launch of the new Express Entry system by the Citizenship and Immigration Canada (CIC) has created a lot of excitement among skilled professionals. With the introduction of a new Express Entry system, most skilled professionals are much eager to get into the maple leaf country. The new Canada Express Entry system 2015 has opened up opportunities for skilled professionals who desire to immigrate to the land of opportunities. The new system will facilitate the entry of skilled professionals and opens a new window to immigrate to Canada. As to regulate the movement, the respective immigration authorities have introduced new Canada Express Entry occupation list 2015, which comprises of 50 specific job categories under which immigrants can move to Canada. The new Canada Express Entry system will help people who are working in Canada to settle as permanent residents in the country. With the new system, all the workers in Federal Skilled Workers Program, Canada Experience Class, the Federal Skilled Trades Program will certainly be able to reside in Canada on a permanent basis. Moreover, under the new scheme database analysts, skilled engineers, petroleum engineers, computer programmers, software engineers, construction managers, home building and renovation managers and all such professionals representing 50 skilled occupations will be considered as Canadian citizens. Canada Express Entry scheme will help you to move to the country under various categories, and as there is a shortage of skilled professionals, the government has included new occupations in the Skilled Occupation List (SOL) to facilitate the movement. Therefore, if you are planning to immigrate to Canada, all you need to have is experience, language skills and degree. Potential applicants need to appear for a test, depending on which their eligibility criteria will be evaluated, and they will be placed in the Express Entry pool. 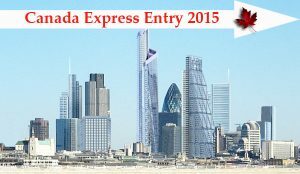 If you are one among those whose occupation is listed in the Express Entry occupation list 2015, then it is your turn to apply for Canada immigration. Candidates who were placed in the Canada Express Entry pool will be handpicked by conducting regular draws. A total of 25 draws are expected to be conducted all through the year, and 779 people have immigrated to Canada under an Express Entry system in the first draw. Likewise, three draws are held to pick candidates from the Canada Express Entry pool. 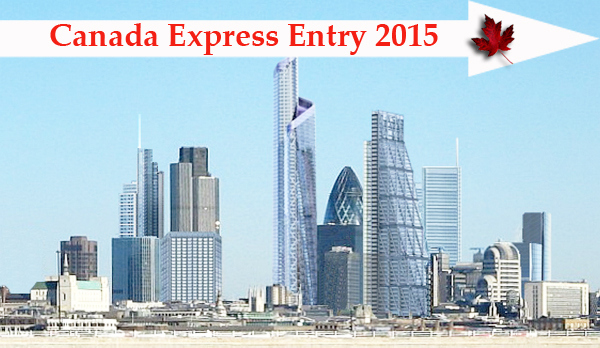 So, if you are a prospective candidate, then apply for Canada Express Entry to immigrate to the land of opportunities. hi, I am Mohd saif ullah khan. I am a mechanical engineer. I had an experience of 2years and 6months in rail inspection field (NDT) I am interested in immigration of Canada please support me . i need student visa and nursing jobs. i am hisabu from eritrea and i have BSc in nursing and i need student visain ur country. [email protected] is my adress. For More Details please contact opulentus.